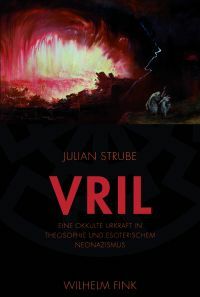 Julian Strube’s first book, Vril, becomes a standard reference for knowledge about this peculiar concept and its even more peculiar history. It is astonishing how much of modern occultism is dependent on works of fiction. 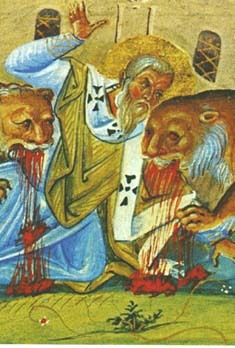 The machinations of secret societies, the malicious rituals of satanic cults, and the magicians’ adventures on the astral plane have all been portrayed in great detail in works of fiction, which have in turn directly influenced the creation of real organisations and inspired new ritual practices among self-styled occultists. The entire current of Rosicrucian initiatory societies even had its main impetus in a text considered by its authors to be a playful ludibrium – although no doubt one that expressed deep convictions. This dynamic of fiction turning to fact is itself perhaps nowhere better explored than in Umberto Eco’s work of fiction, Foucault’s Pendulum. In recent years there has been quite some interest in such dynamics among contemporary scholars of religion as well – focusing on what they call “invented”, “hyperreal”, or “fiction-based” religions. While these scholars tend to focus on relatively recent cases – Jediism, Tolkien-spirituality and the sort – we have every reason to believe that this is a much older process. Particularly, it would seem, in the Western esoteric context. A case in point is the concept of “vril” – an occult fluid or force that can be manipulated, controlled and directed by spiritually advanced initiates. It was invented by the the author and politician Edward Bulwer-Lytton (1803-1873) in his novel, The Coming Race (1871). Last December I was approached by Markha Valenta, a colleague in the history department of the UvA and an occasional contributor to the OpenDemocracy project, asking if I wanted to organize a panel for the upcoming international conference on “Regimes of Religious Pluralism in 20th-Century Europe”. The invitation was inspired by some of the things I wrote on this blog concerning Behring Breivik and religion last summer, and my role would be to compose a “heterodox” component for the conference. I said yes, and started contacting some people. Now, one month before the conference starts, we have three speakers and a juicy topic: “European Identity Politics and the Memory of Paganism”. Below follows a description of the panel’s theme, and a list of speakers and titles.